Hey, guys, the folks at Jagex did a Q&A with the community on the 19th of July. We thought it had some interesting moments and wanted to share with you a few of the highlights. 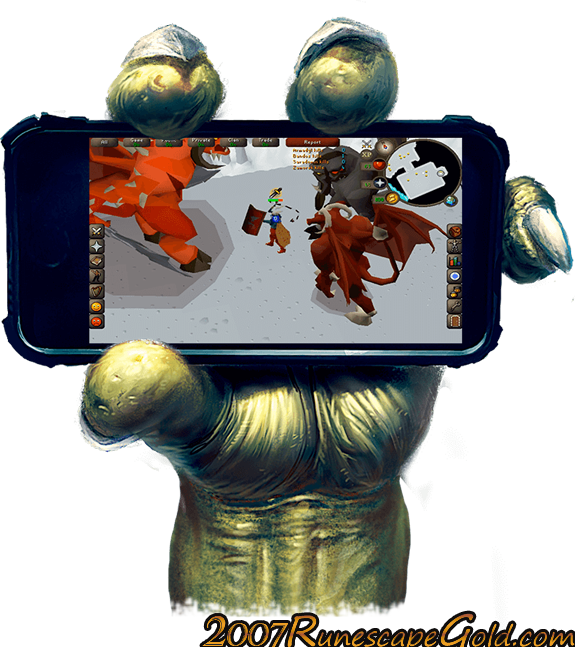 At the time of the Q&A, they said that there had been over 150,000 people apply to be part of the Runescape Mobile beta! This was already kind of addressed, but they did clarify during this session that everything is going to be playable. So anything you can do in the desktop version you can do here. It is 1 for 1! It is exactly the same game. This is actually pretty cool! But they were asked about how much data Old School Runescape would use on people's phones. They said that as OSRS was designed with dial up internet in mind, it will not require a ton of data. This is pretty awesome news, especially if you have limited data on your mobile plan. The Q&A revealed that the intent was not to make special "mobile worlds" and that everyone is going to be kept together. They did say though that they will increase their current world offering so when the new influx of players come in, it should not be over crowded. There were some questions asking about the download size and the drain on battery and Jagex responded perfectly. The OSRS download will be about 50 MB and this includes everything. As far as battery drain goes they are trying to make it run as good as possible, without it being a huge power sucker on your battery. That is just a few of the highlights of this Q&A. Some fantastic member of the community has posted a full transcript on Reddit and it is worth having a look at. What are some of the things that caught your attention in this Q&A let us know in the comments section?